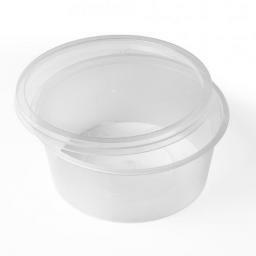 Microwave Safe Food Container with Lid. 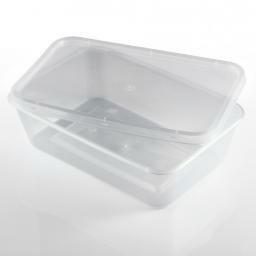 Round clear plastic containers for convenient food display and takeaway. Containers provide durability and leak-resistance required for hot takeaway dishes.